I’m used to seeing stylish interiors in many of my brother’s residential projects and I also visits furniture stores a lot because I love decorating homes and planning my own future home. Of course it will also be on the same place but I’m dreaming of building a new home or maybe a new renovated home with my designed plans. Well I always find Japanese home decoration unique, simple but very beautiful. I noticed that they decorate their homes with full maximized space meaning they don’t just let large space to be wasted. They limit their furniture to what they only need. If you will have the chance to observe they always have low and large table called kotatsu with small heater underneath just like in their restaurants. Kotatsu is where they meet, talk, eat and bond as a family. 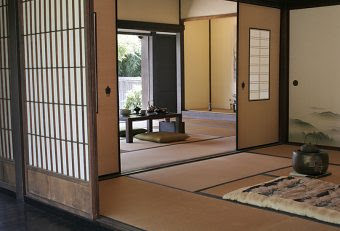 Then you’ll notice that they’re fond of having floor mats called tatami made of woven straw in several of their rooms in which Japanese step without their shoes.